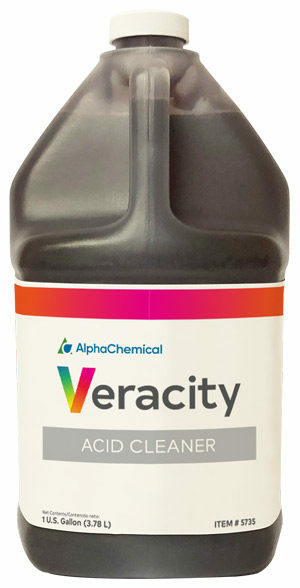 Self-indicative, heavy duty, non-foaming cleaner. Designed for mechanical cleaning systems to clean jockey boxes and equipment containing soft metals. Captures tough soils and sweeps them away in the fluid stream. Due to its efficient inhibitor, Jockey Box Cleaner can clean soft metals, such as aluminum and other non-ferrous metals, in use dilution. 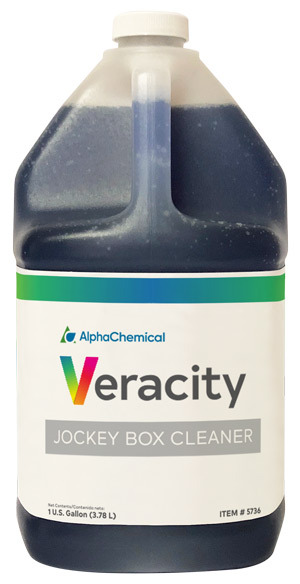 Veracity Jockey Box Cleaner appears blue when it is cleaning properly and encounters no soil in the Jockey Box. When the cleaner encounters soil, it will turn to a yellow color. If the operator notices a brown color it is because the cleaner has turned yellow and the brown coloration is a result of the soil being removed.